Ever wondered, “how can I get a free laptop from the government“? 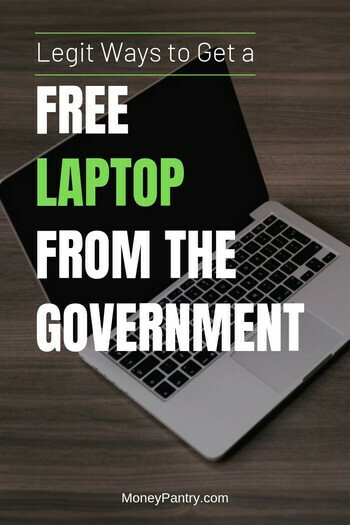 If so, in this post we’ll show you how all the legit ways you can get a laptop computer for free from the government, whether you need it for school, work, or whatever else. Nowadays, a computer is pretty much a necessity. Thankfully, there are many programs in place to help people in such situations. There are even program where the government gives you free money. If you’re struggling to afford one, then you may be able to get a free laptop from the government. Can You Really Get a Free Laptop from the Government? No in that you can’t just contact the government and ask for a free laptop. The government doesn’t just give out laptops to anyone that asks. And it doesn’t have a program that’s dedicated to giving out laptops. Yes, however, in that there are government programs and non-profit programs that do help people to get a free laptop, or at least one at a discount. It’s important to note though that you’ll need to meet certain eligibility criteria to qualify for a free or cheap laptop from these programs. Most of the time you’ll need to be on a low income as many of these programs give free laptops to low income families. Now, what constitutes a low income varies depending on the state where you live. Other programs will have different requirements. So, the eligibility requirements really depend on where you’re getting your laptop from. Just make sure to check the eligibility requirements for the particular place that you are contacting. As we said above, the government doesn’t just hand out laptops to anyone. So getting a laptop from the government isn’t as simple as just calling up and asking for one. There isn’t a government program solely for laptops – the government may help you with funding, but as we said, it doesn’t have a program you can use to apply for a no cost laptop. However, there are quite a few government-funded programs, and other organizations, that can help you to get a laptop at no cost. Let’s take a look at the ways you can get a free laptop from government programs and other organizations. Some of these options are from government departments, but we’ve also included programs from non-profit organizations. If you are struggling to afford a laptop, then consider contacting the Department of Social and Health Services or the Department of Human Services. The department may be able to connect you to local programs and non-profit organizations that can assist you with getting a laptop. Just use the USA.gov website to find your state’s department of social or human services. You may be entitled to benefits that you weren’t aware of. Visit Benefits.gov to check which government benefits you may qualify for. 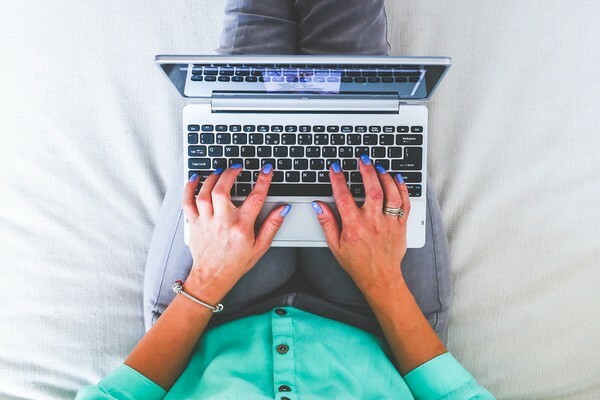 These benefits may assist you in getting a laptop. There’s disaster relief and financial assistance benefits for example. So, these benefits could help you to get the funds to purchase a laptop or get one at a low cost. If you were affected by a natural disaster, like a hurricane, and have perhaps lost belongings, including your laptop, then visit DisasterAssistance.gov. You can get a free laptop from non-profit organization Computers with Causes if you’re a student or military veteran or have a financial need. Of course, you’ll need to meet certain eligibility requirements. You can visit the website to see if you qualify for a free laptop and to apply for one. Non-profit organization United Way Worldwide provides assistance on a huge range of topics through its 2-1-1 program. It connects you to the resources you need locally. The 2-1-1 service is totally free to use and it’s confidential as well. You can use the service to get help finding a free or low cost laptop in your area. This is another organization that may be able to assist you. If you need a free laptop computer for your child, then it’s definitely worth contacting the On It Foundation. Attends a public school and resides in the United States. So if you’ve been wondering how to get a free laptop for school, then contact the On It Foundation. If you are going through a tough time financially – perhaps you’re unemployed or have been the victim of a hurricane? – then get in touch with your local Goodwill. It’s another non-profit organization that may be able to provide you with a free or very low cost laptop. Goodwill has been known to give vouchers to people who are struggling financially, such as those living on a low income. People can use these vouchers to purchase items. Of course, your local Goodwill may not have any laptops available, but it may be able to help you in finding one in your area. You may know Salvation Army is your local thrift store. It’s a non-profit organization that could help you to get a laptop at little to no cost is the Salvation Army. One of the ways that the Salvation Army helps people is by donating items. You may be able to get a voucher from the Salvation Army or at least some assistance in finding a low cost or no cost laptop near you. Just contact your local Salvation Army chapter to find out if they could assist you in getting a laptop. St. Vincent de Paul is a non-profit organization. It has locations all over the country. It helps people in a huge variety of ways, like by providing free furniture for example. There’s a page on the website (which we link to below in the “get assistance here” section) where you can find what types of assistance and services the organization offers. Just scroll to the bottom of the page, and select your location from the options. When you click on a location, you’ll be taken to a separate website for that location. On your local website, you’ll be able to learn about what services are available in your area. Not every St. Vincent de Paul location will provide donated laptops, but some will. You can ask at your local Catholic Church if there are any St. Vincent de Paul locations in the area. Some people ask online whether there’s a way to get free internet and a laptop from the government – while there is no such program available from the government, there is a non-profit organization that may be able to give you cheap internet and a free laptop. It’s called PCs for people. This is a non-profit organization that gives complimentary laptops and low cost internet services to qualifying recipients. What’s great about the PCs for people is that it is a Microsoft Registered Refurbisher. This means that the computers it donates come with licensed copies of Windows 10. In order to be eligible to receive a PC from the organization, you’ll need to meet certain requirements (which you can view on the page that we linked to below). For a free or low cost laptop and for low-cost internet service, contact Everyone On. There are a few different programs offered to help people with low-income. You can get a laptop for as little as $120 from Computer Technology Assistance Corps (CTAC). So you don’t get the laptop for free, but you do get a huge discount. Okay, so as you can see there are a lot of ways for you to get a free laptop from the government, and lots of non-profit organizations that can offer complimentary or low cost laptops as well. But, if you don’t qualify for a free or low cost laptop from the organizations that we listed above, then you do have a few other options. We’re going to cover a few of the other ways that you can get a PC for free or at a huge discount. This is a great website where people can donate items and receive donated items locally. You might be able to find someone who’s offering a free laptop on there. You can actually request items on Freecycle as well. So, you could put a request on there for a laptop. Another common question that people ask online is “how to get a free laptop from amazon?“. Well, this is actually one way to do it. There are apps and websites out there that pay you to complete super simple tasks. These are called rewards websites. In return for completing these tasks, you earn points that you can redeem for gift cards. Most rewards websites offer Amazon gift cards as a redemption option. You can then save up these gift cards and use them to get a laptop at a discount or perhaps even for free. Swagbucks would be our recommendation for a great rewards website. It’s super popular, easy to use, and provides a varied and fun selection of tasks. Some stores, brands, and other organizations have sweepstakes and giveaways where you can win laptops. Do be careful and only enter giveaways from legitimate companies. And do not give out sensitive information or financial information, such as your Social Security Number or your bank details. Follow tech brands and stores that sell laptops and other tech items on social media. 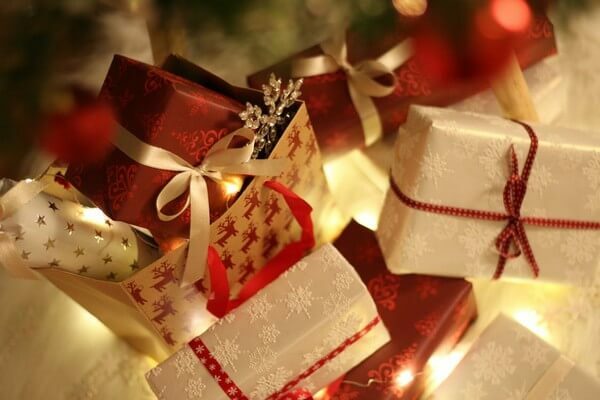 Then you can keep up to date with any giveaways that are on offer – plus these stores and brands often post coupons and other money saving deals on their social media accounts as well. You can also search for “#laptop giveaway” on social media to see the latest giveaways. College is expensive. That means you need to do everything you can to save money while in college including looking for ways to get a laptop without paying for it. While there aren’t many government programs that give away free laptops to students, there are other organizations that do. This is bacillary a database of all the online colleges that offer free college related tech such as laptops and tablets. This is a great sites created by actual students that help students find laptop at deep discounted prices. If you’re looking for a free laptop, then getting one from the government isn’t necessarily the best place to start. Yes, there are a few places that we mentioned above – but it’s those non-profit organizations that are the best because they are set up with the goal of helping people out. Either way, if you’ve been wondering “how can I get a free laptop?”, check out the government programs and non-profit organizations above to see if you can get laptop or computer for free.